I am upset and I am not sure to where to go with this… so I am going to post this blog post with the intention that someone out there will read this and help me get it to the proper hands. 4 = Exceeds Standard or an A 3 = Meets Standard or a B 2 = Progressing Toward Standards or C 1 = Below Standard or D maybe F… not sure here as it is not really clarified in any of the literature. A child who receives a “3” on a test supposedly has demonstrated an understanding or skill necessary to “Meet the Standard.” The goal (and they highlighted this in all the literature) is for all children to demonstrate proficiency which is described as the level “3”. In other words (are you ready for this because I was not) a child who answers all the questions on his test correctly but does not get the extra EXCEEDS STANDARDS question correct will only get a B on that test! It gets better… in order to get the EXCEEDS STANDARDS question correct, the child must be able to demonstrate critical thinking! Not familiar with the whole concept of Critical thinking? Critical thinking is, in short, self-directed, self-disciplined, self-monitored, and self- corrective thinking. It requires rigorous standards of excellence and mindful command of the student’s use. Critical Thinking entails effective communication and problem solving abilities and a commitment to overcoming our native egocentrism and sociocentrism. OKAY that still sounds great… but have you met my kid? 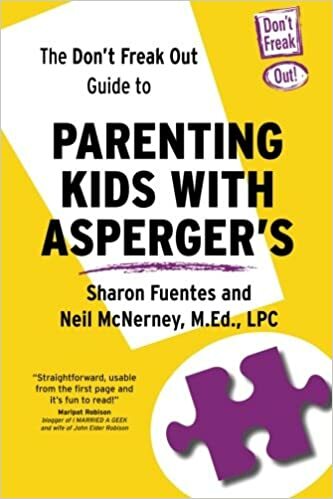 He is wonderful and smart and funny and oh yeah… he also has Aspergers; which means he has problems self- monitoring, self-correcting, communicating effectively, problem solving and egocentric is his middle name. So how then is my son… who has taken such pride in having been on the all A honor roll in the past going to get an A if he cannot demonstrate this? Now you see where my problem lies. I went to a meeting at the school and I asked the principal this exact question, and her response was, “Oh I know Jay… he is smart between the teachers and you… you will figure out a way to make it happen.” Hmmm… not sure that really answered my question. But what about all the other special needs kids in my county who just don’t have the cognitive ability to do this? Never mind the special kids… typical kids like my Gracie too. In order for Critical thinking to work…students must be given time to think before speaking (or writing) and better construct ideas in their own words. Processing information takes time; stating one’s thinking correctly also takes time. They need time to reflect, recall, make connections make all those self- corrections they want them to make. In order to do this, the teachers would need to limit the amount of information they give at a time. And that is not happening nor will it. There is so much to cover and so little time before the STANDARDS OF LEARNING TESTS. It’s all about the tests it seems. To make matters worse we are the only county in the state doing this. That means that High School students will be competing for college spots with other kids from other counties. High school students who may be getting B’s because of the NEW STANDARDS where their counterparts in other counties doing the same exact work are getting A’s. Just doesn’t seem KOSHER to me! So there you have it! The big old mess I call my Public School system. The teachers seem just as confused by the new standards as we do. Change is always difficult. Go to the source of the change rather than to the teachers. Go to the school district website and search under the staff directory. Call the appropriate staff person to seek understanding of the new grading system and the purpose behind changing it. Formulate your questions before calling and request a face to face versus a phone con. Email or call me if you need help navigating the staff directory. I understand that there is some confusion about this new system. I’ll reblog it and try to describe it without school board jargon. Ah, we had the same grading system when my kids were younger…and the same issues around critical thinking. Still do. I’ve wised up over the years and have included an executive function goal in their IEPs…for planning, organization and all those critical thinking skills. Now the school must take this into consideration when grading and will have to figure out how to best teach them.